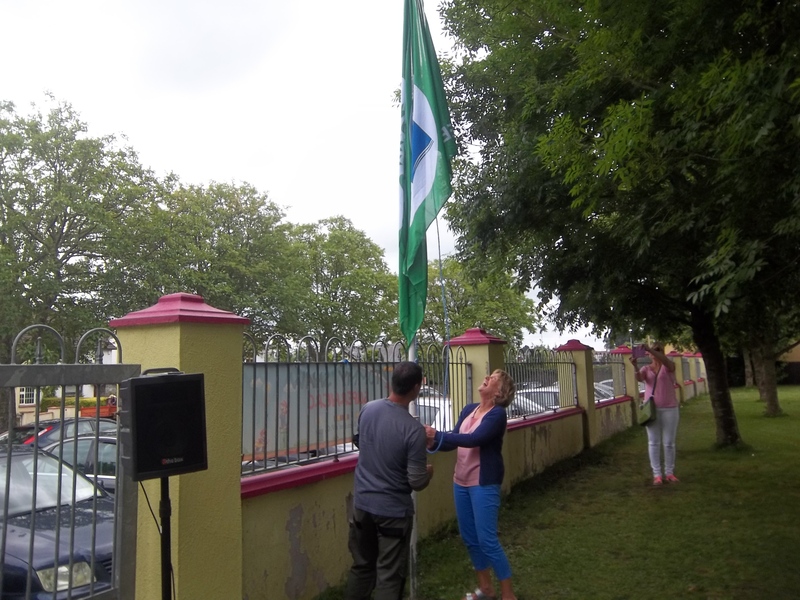 We raised the Green flag for Bio-diversity at the end of June also. 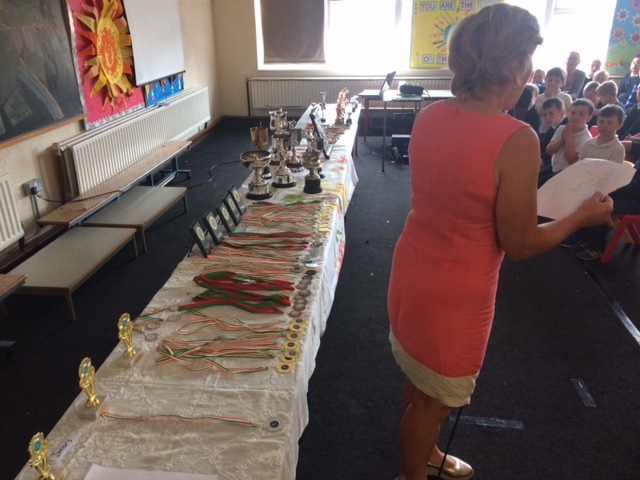 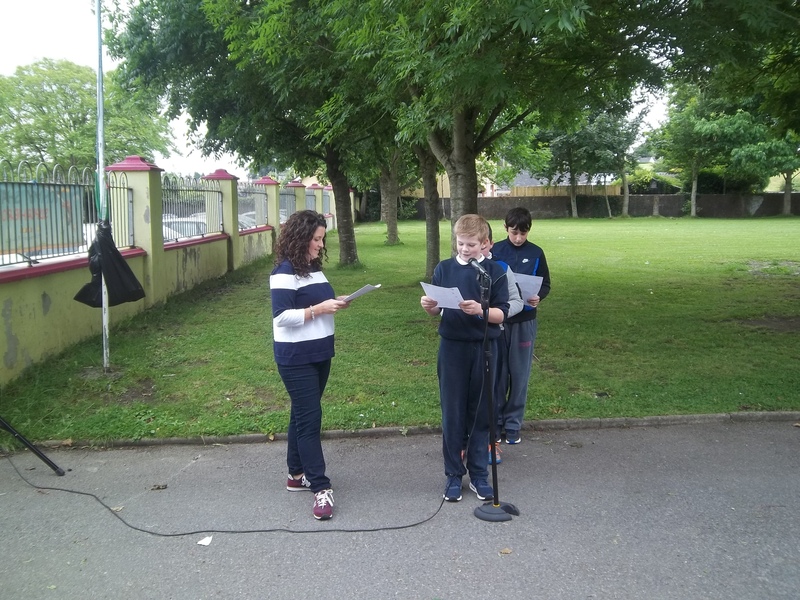 The committee spoke about all the work that had been carried out by pupils and teachers. 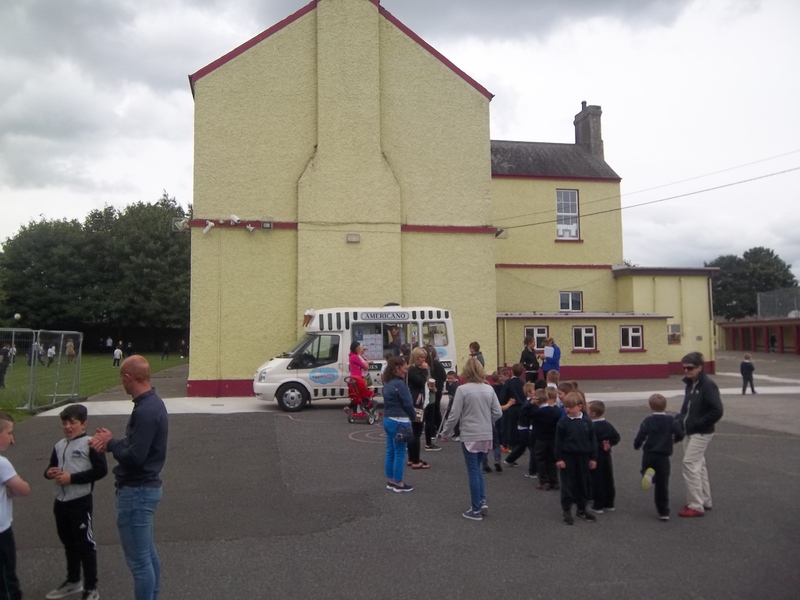 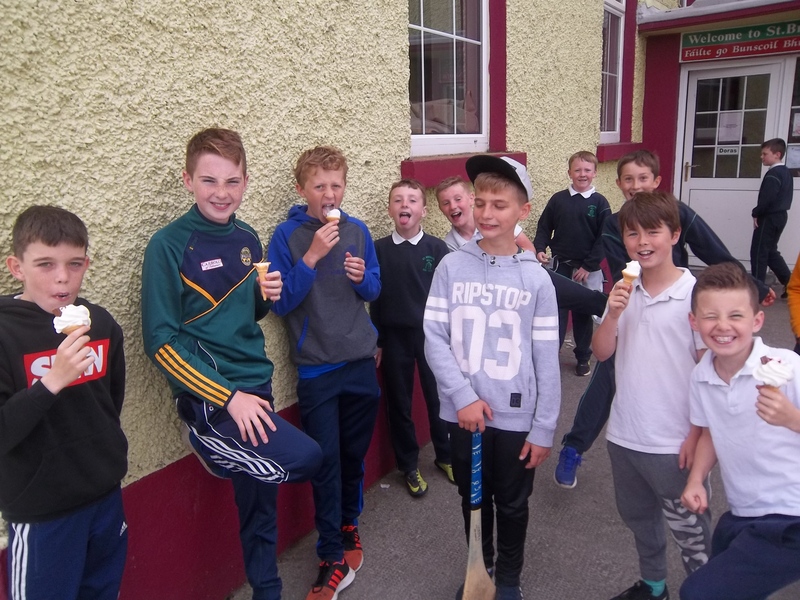 The flag was raised by Mrs Lonergan and then all the boys got to get some ice-cream from the van. 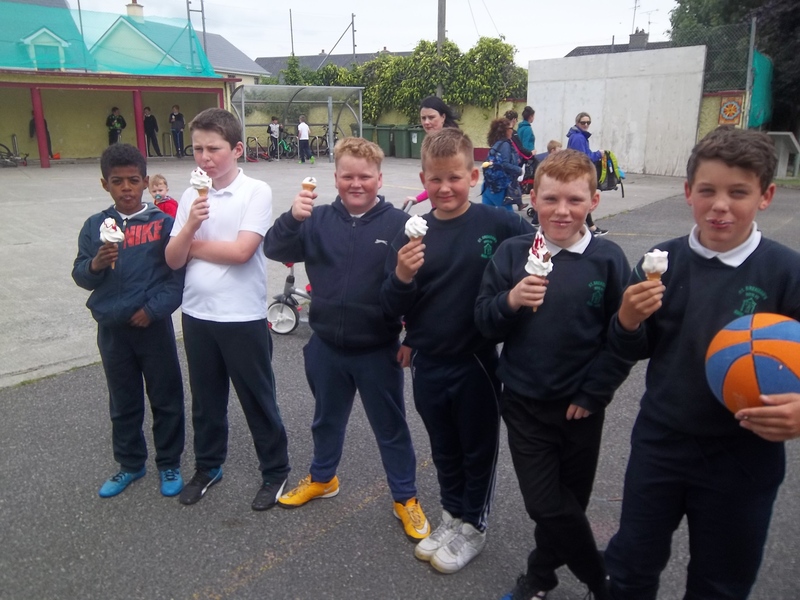 Thanks to our fantastic Parents Association for sponsoring the ice- creams which were very popular on the day! 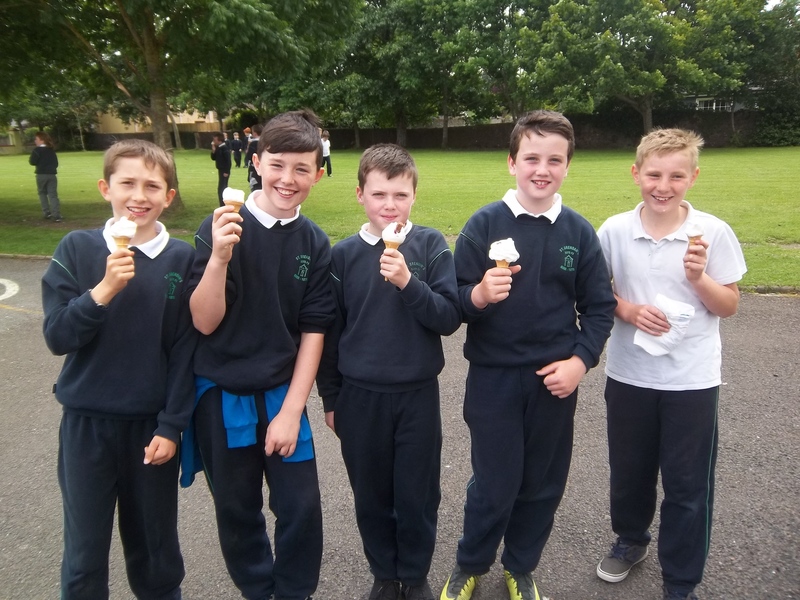 School reopens for pupils on Thursday 31st August and we wish pupils and families a happy and safe summer. 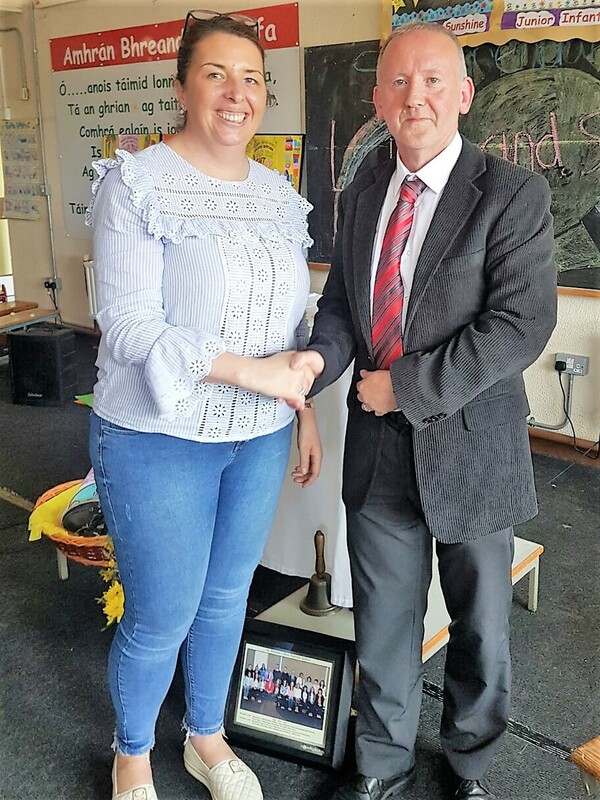 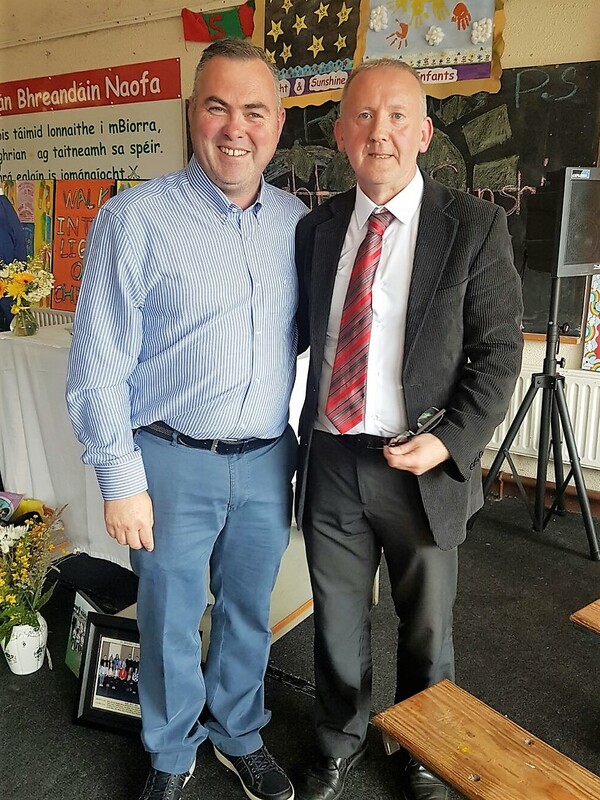 St Brendan’s PS Birr past and present came together on Friday 23rd June 2017 to celebrate the teaching career of its Deputy Principal Mr Niall Kelly. 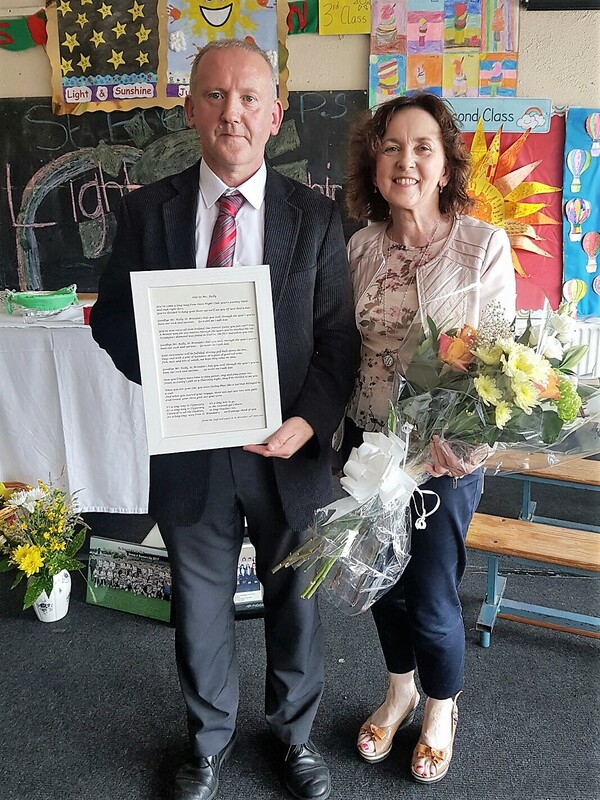 Niall began his teaching career back on 1st September 1981 when he walked through the gates of St Brendan’s Boys Primary school and has taught the boys of Birr with passion and commitment each year for 36 years. 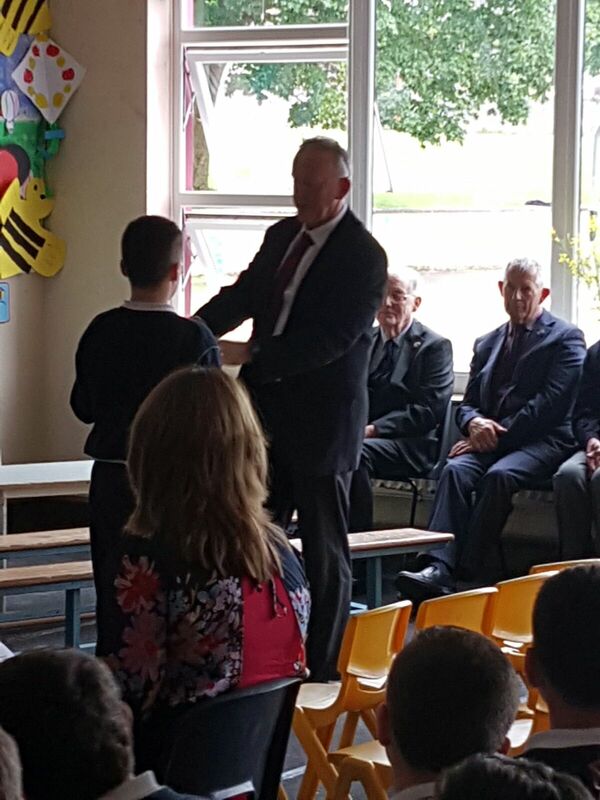 The school celebrated this achievement and thanked him for his service at our end of year mass in our wonderfully decorated school hall. 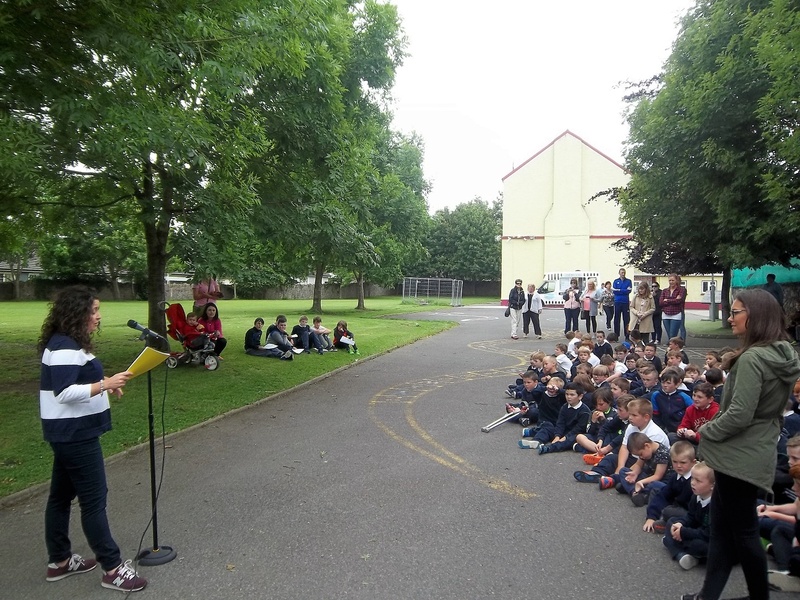 The theme of the mass was “ Light and sunshine” which was celebrated by Fr David Carroll. 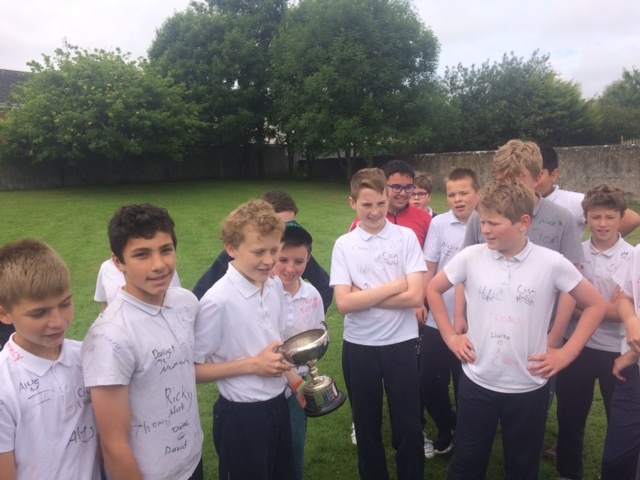 A candle was lit in memory of our dear friend Tommy at the beginning accompanied by a medley of special songs by the boys. 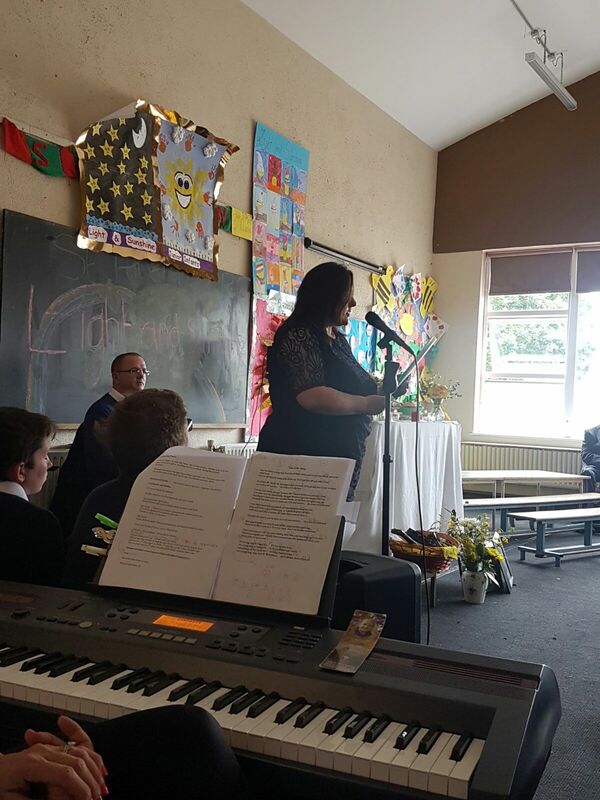 The current pupils of the school did themselves proud with beautiful song ,music and reading during the mass. 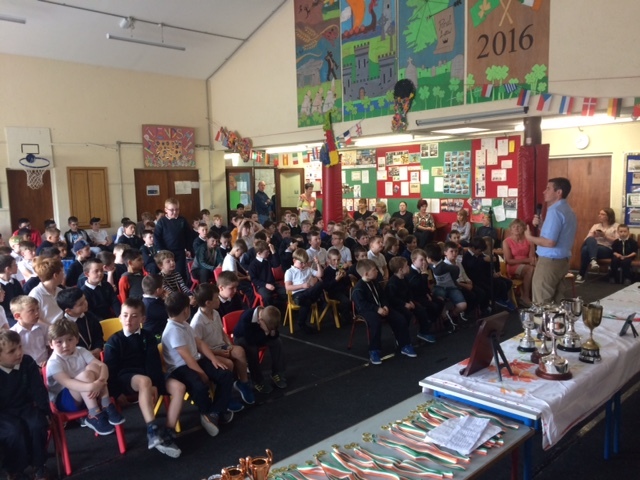 The school surprised Mr Kelly by organising some of his former teaching colleagues from the Presentation Brothers to attend. 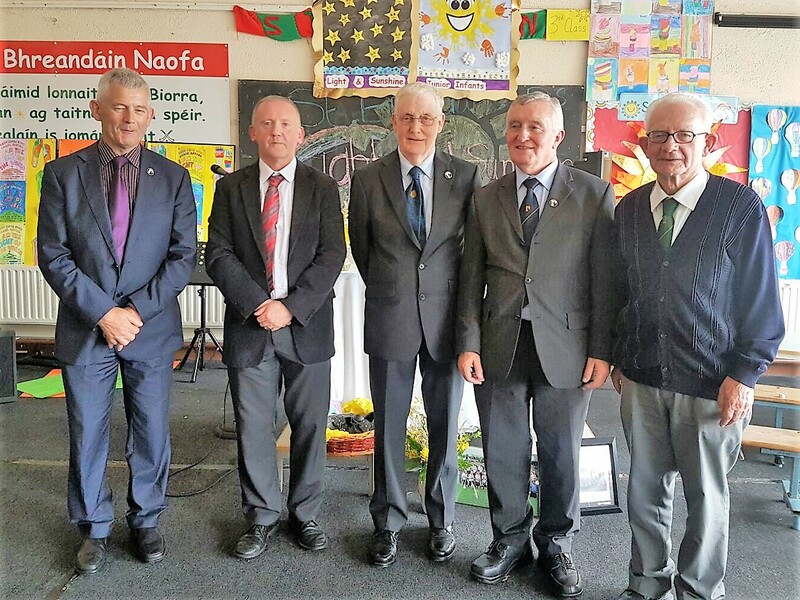 We were delighted to welcome Brother Andrew, Brother Ultan, Brother Vincent and Brother DePaul who was principal of the school when Niall was teaching. 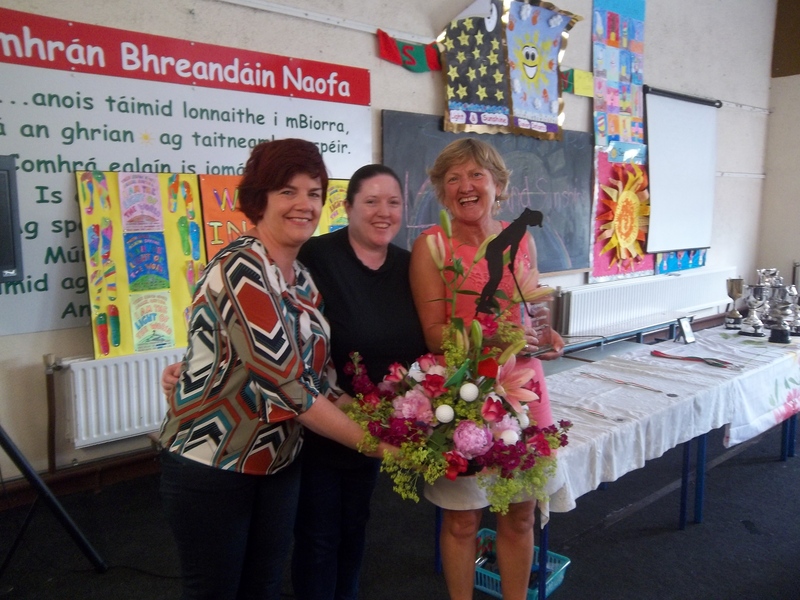 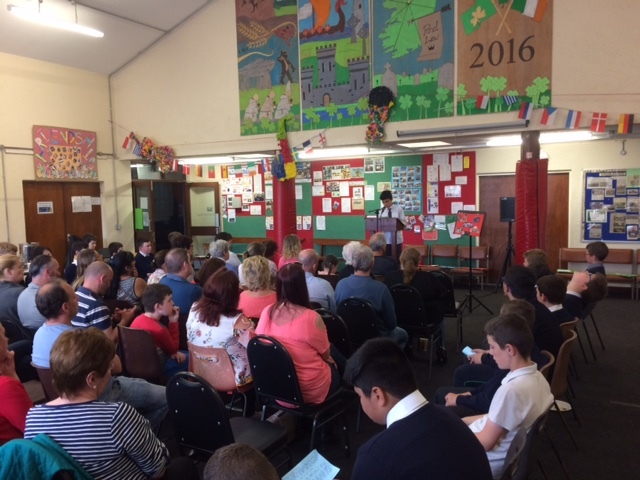 At the end of the mass some presentations were made to Niall and his wife Assumpta from the Parents Association ( Caroline Boyd) and the Board of Management ( Fiona Ward and Adrian Sheils). 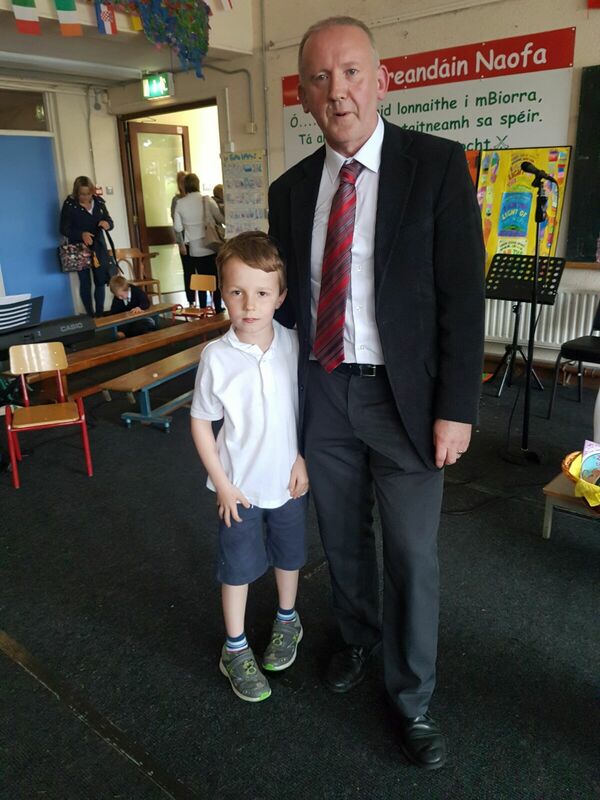 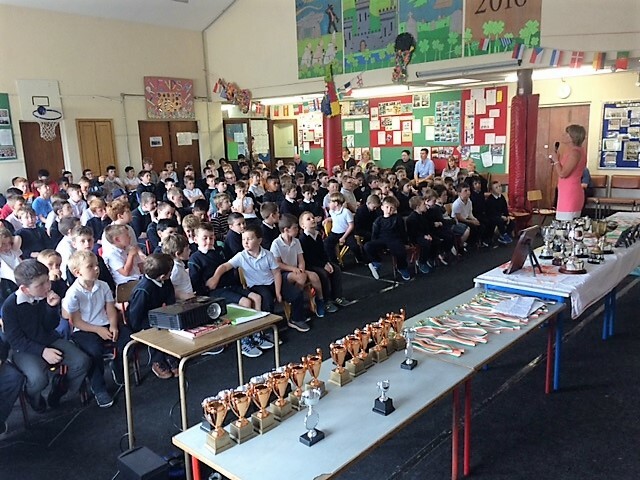 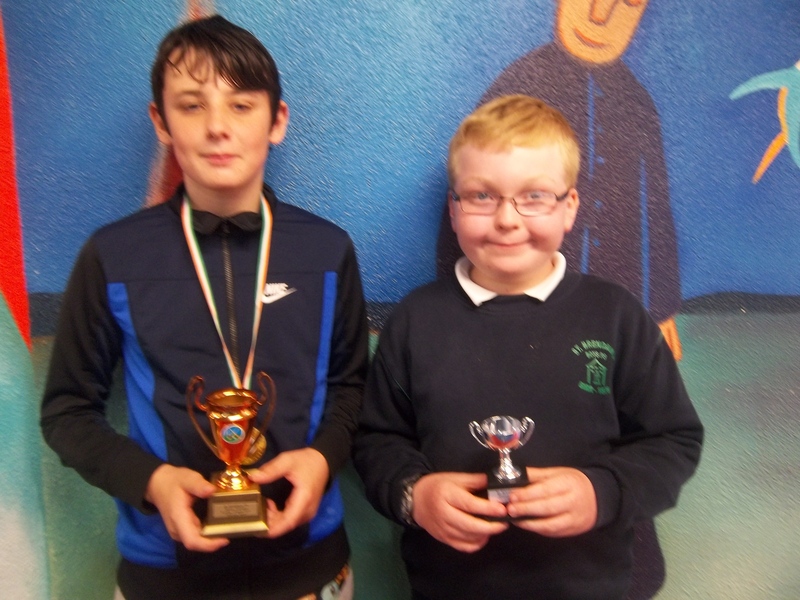 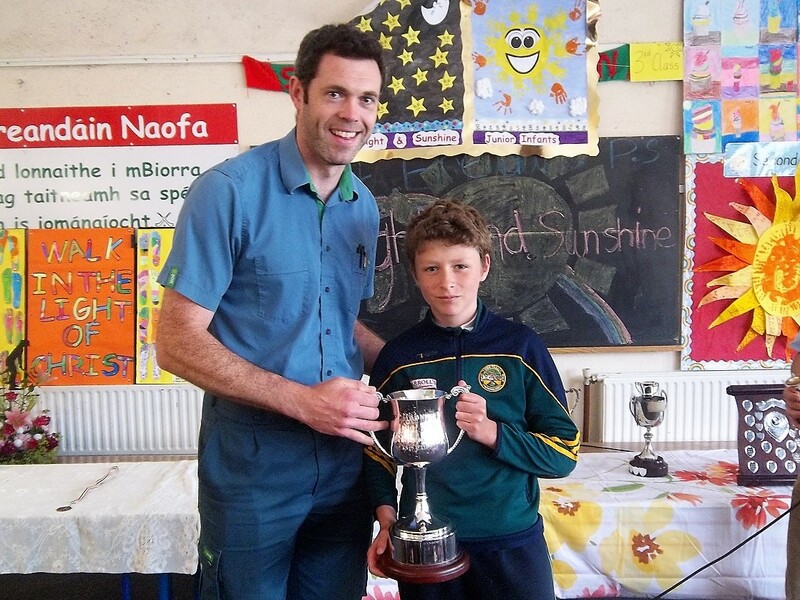 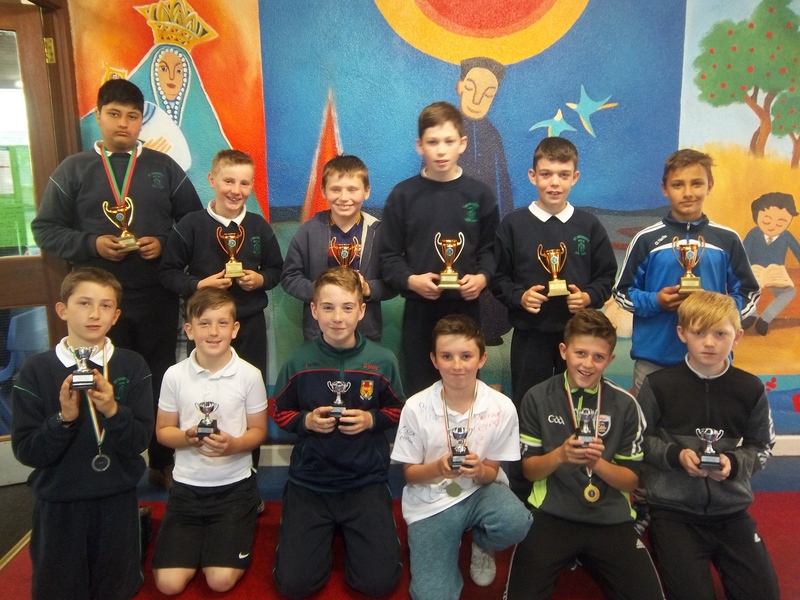 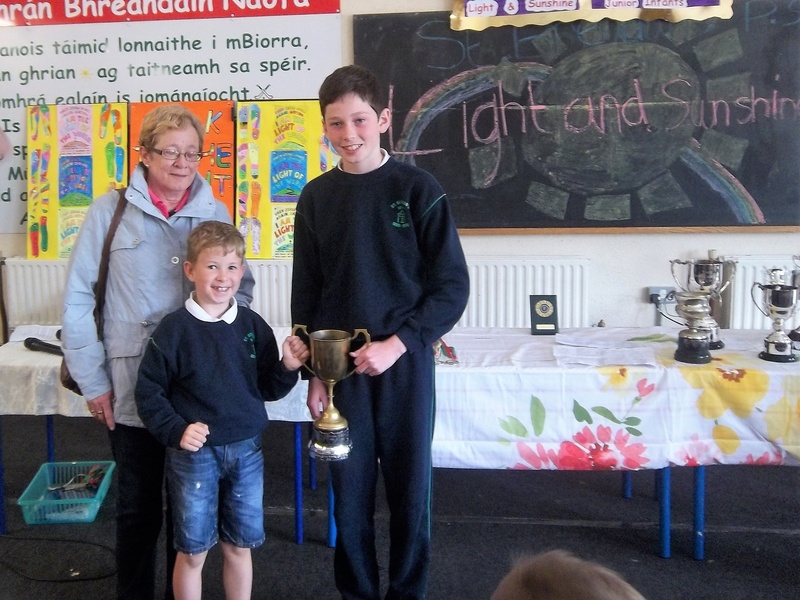 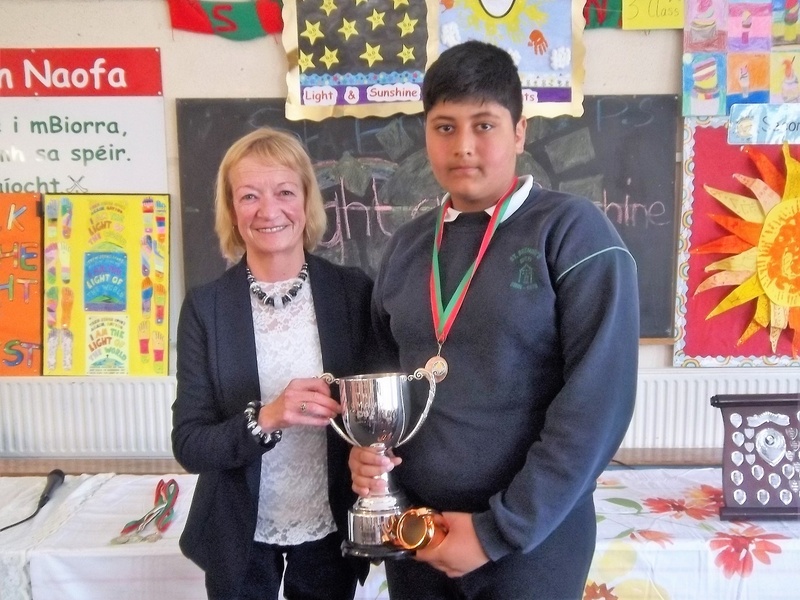 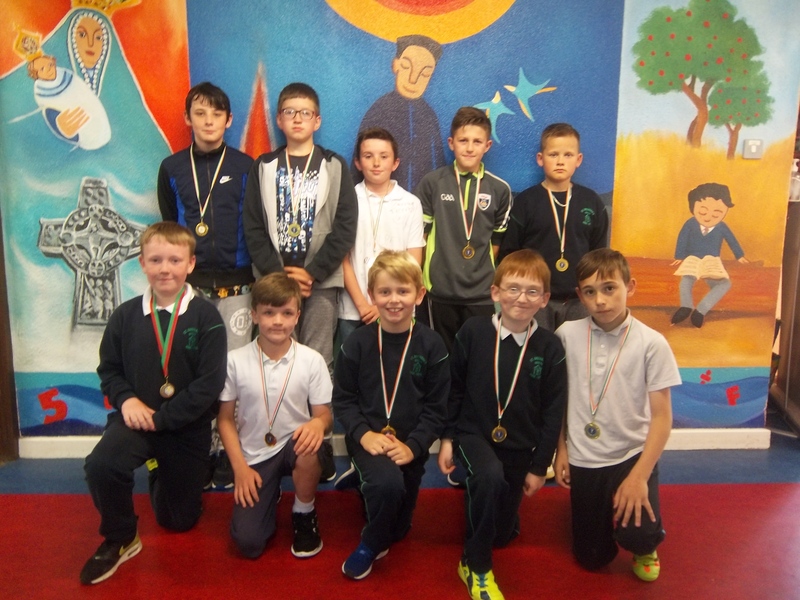 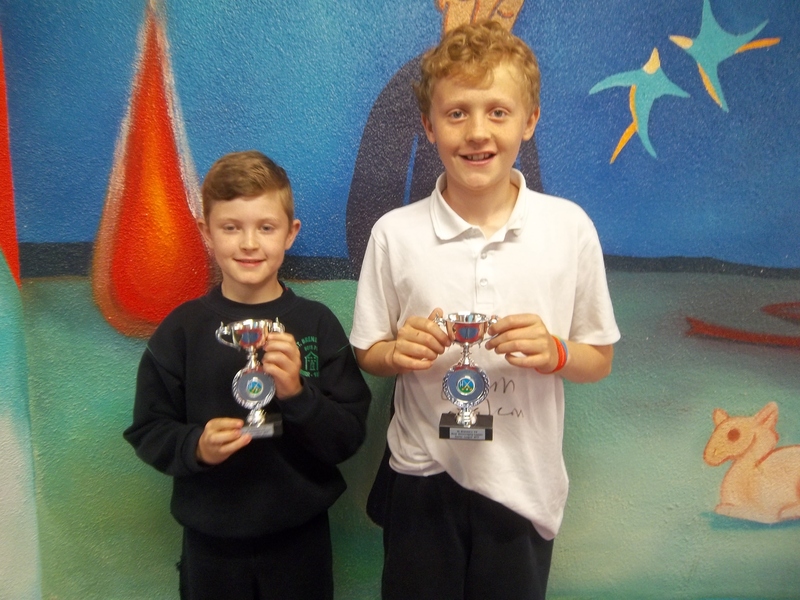 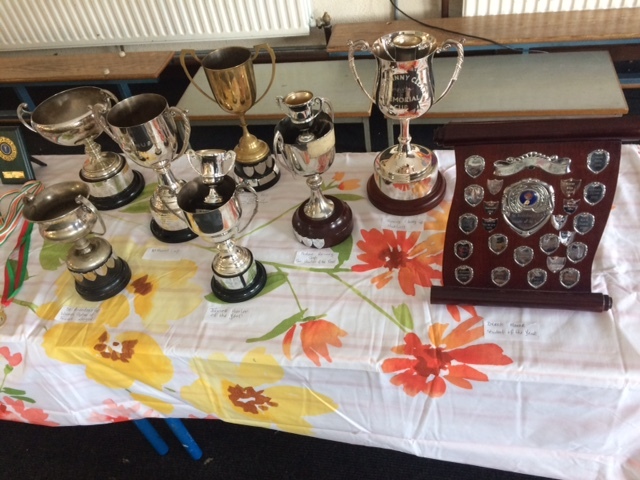 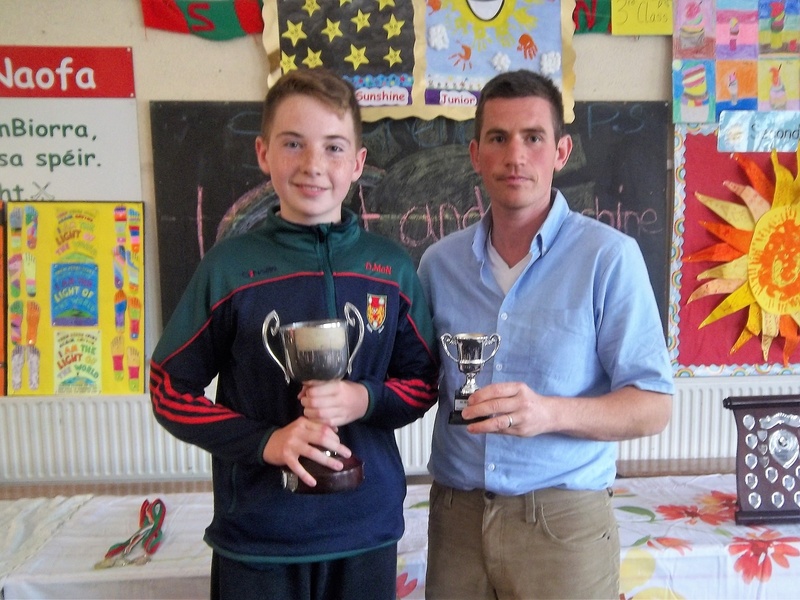 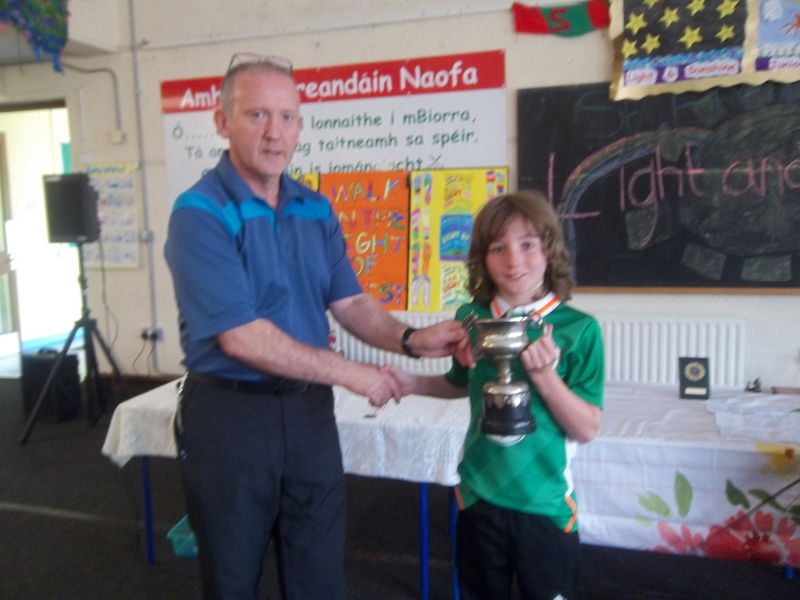 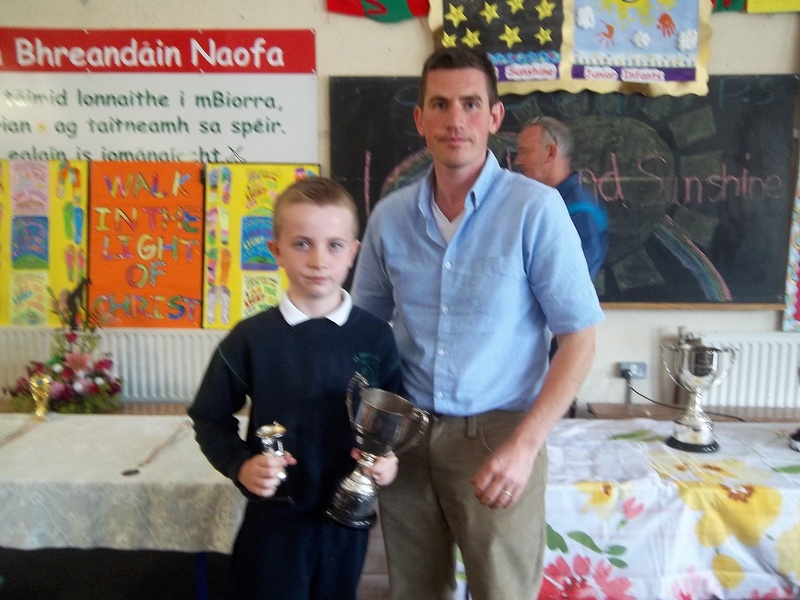 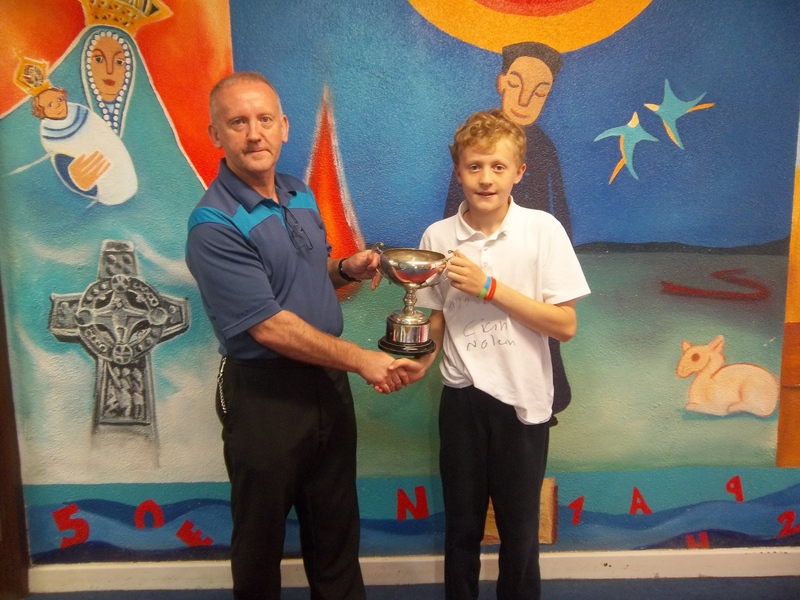 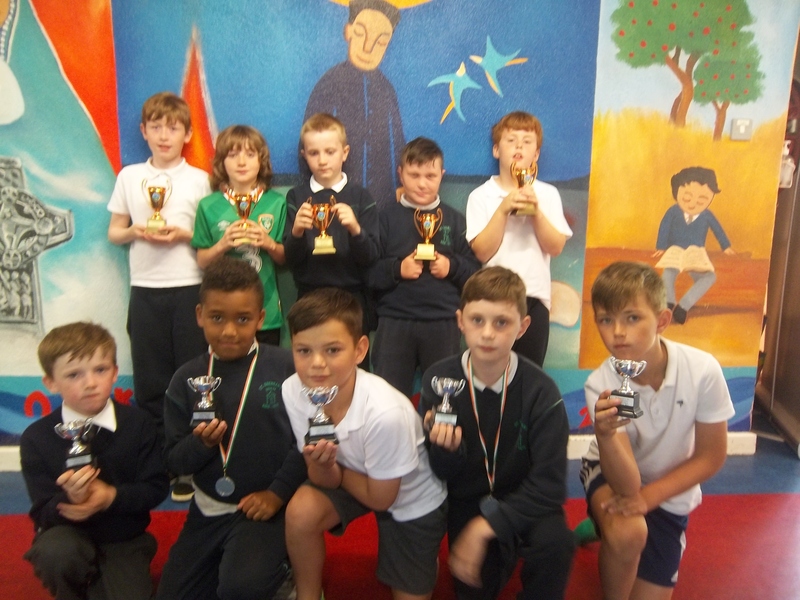 Indeed it was fitting that Adrian and Luke Sheils made presentations on the day with Adrian being a pupil in Niall’s first class in the school and his son Luke being in Niall’s school guitar band during his final year this year. 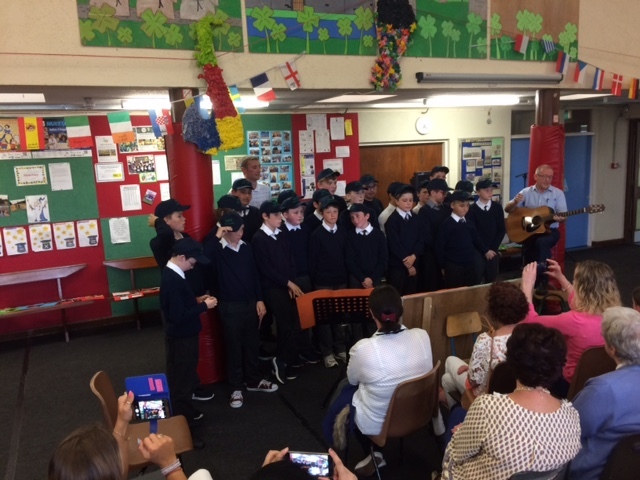 The boys then all sang a song composed by the amazing Majella Killeen about Niall’s life and teaching which did bring a tear to the eye. 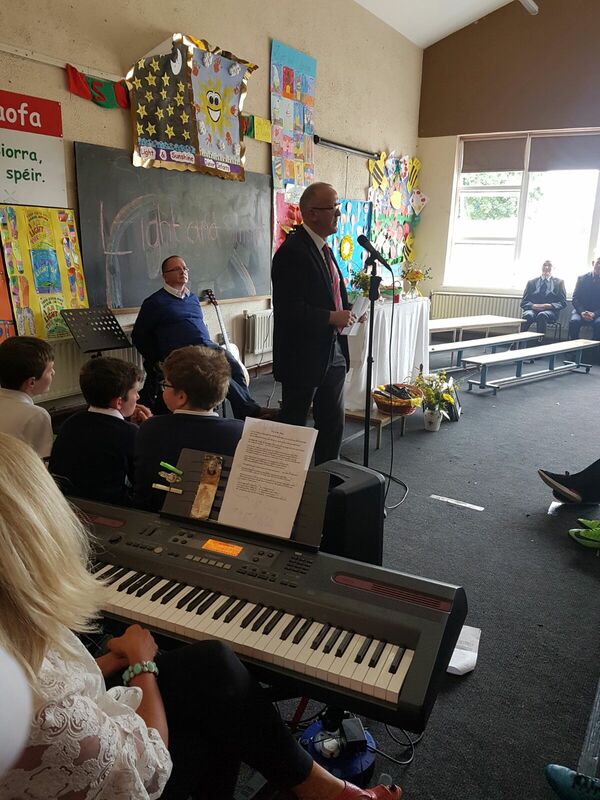 Then Niall spoke and thanked all involved in his wonderful journey over the past 36 years. 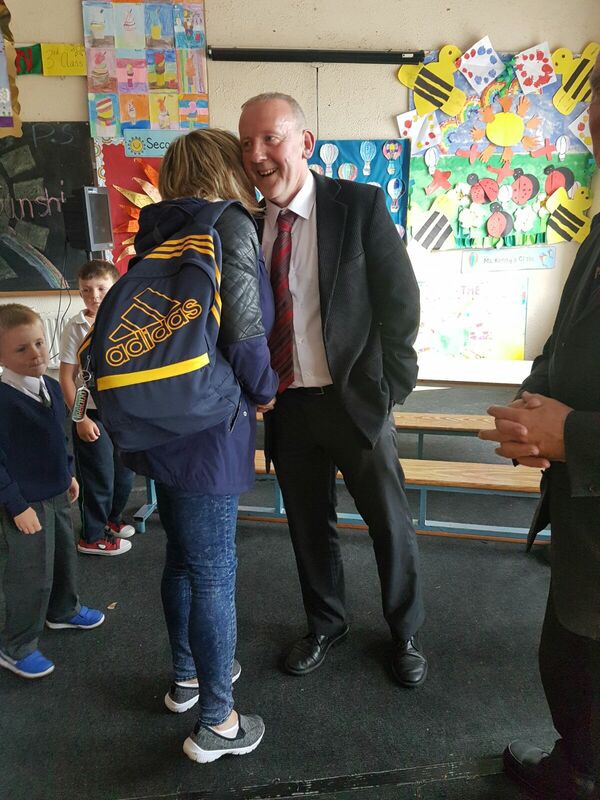 He was looking forward to retirement but can look back proudly and fondly at his teaching career in Birr. 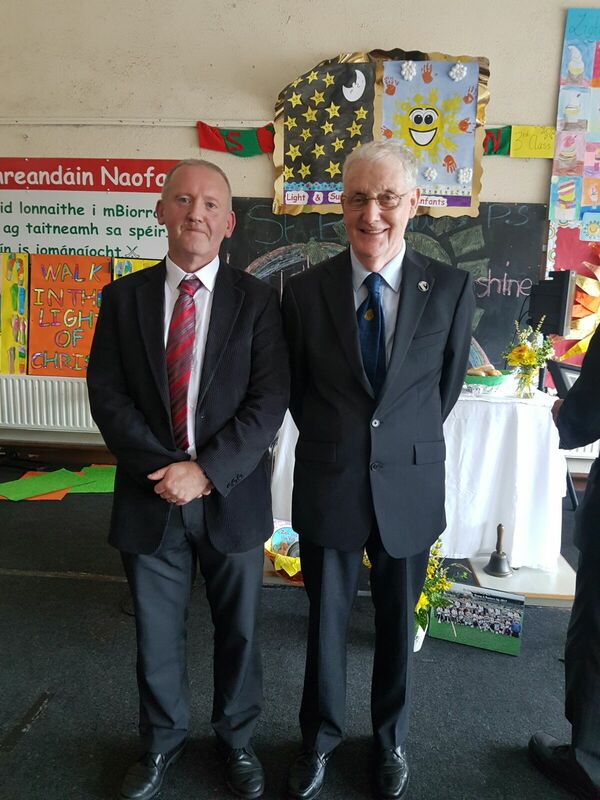 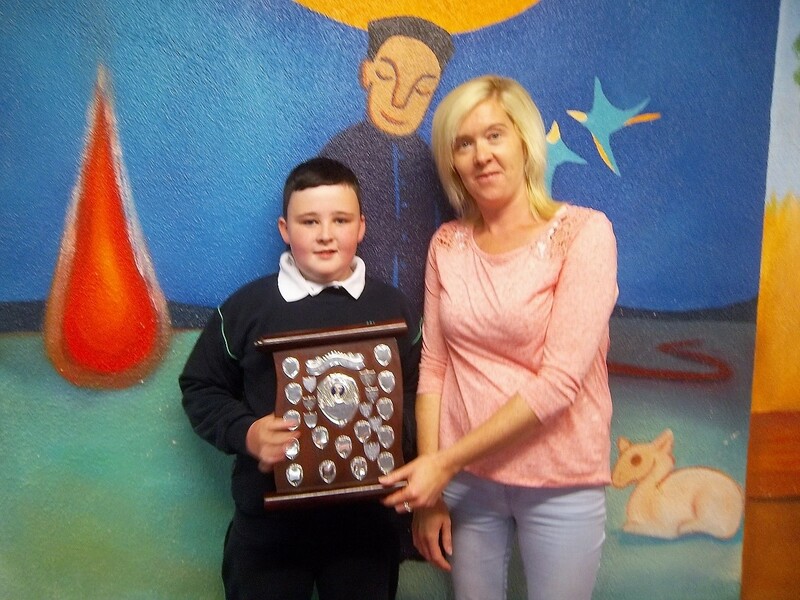 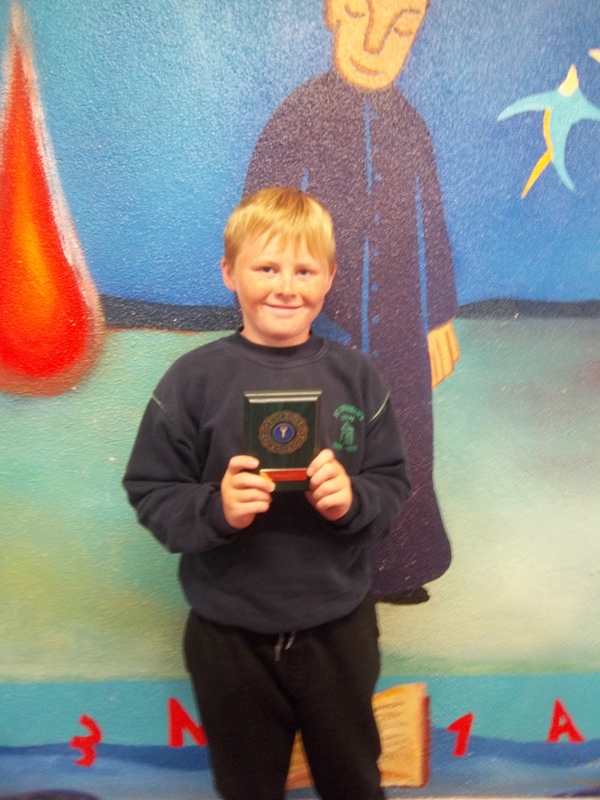 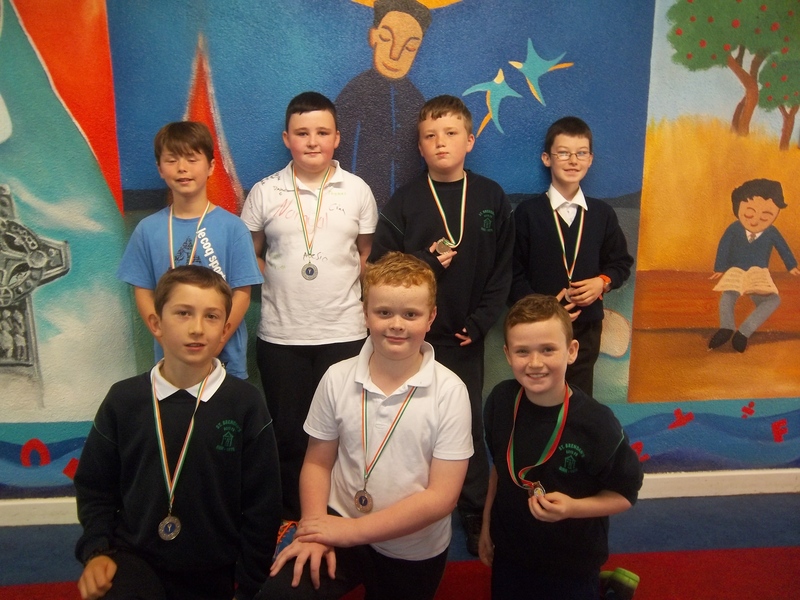 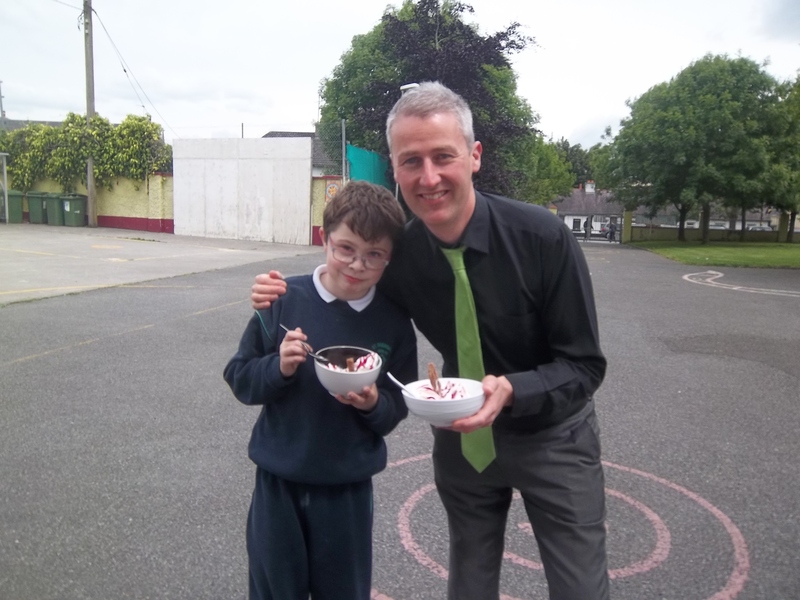 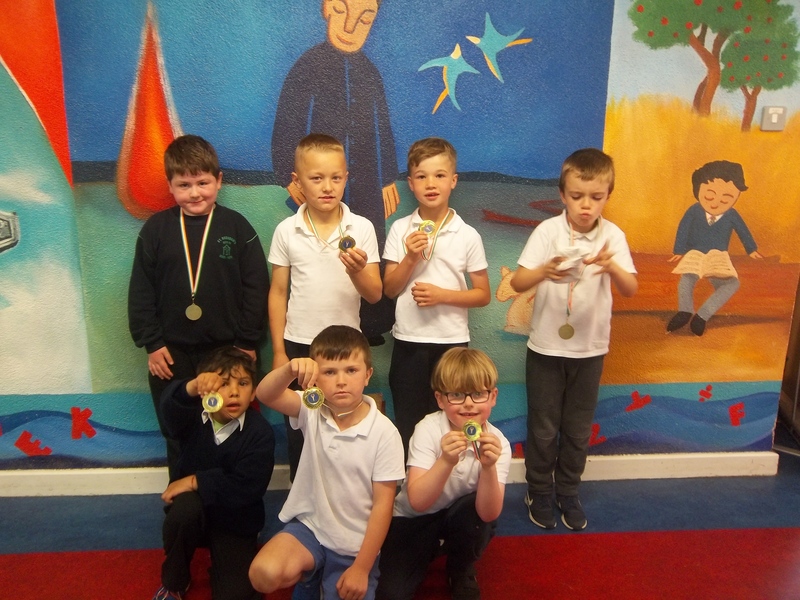 He wished all associated with St Brendan’s PS well into the future.